Instant Certification on module completion and a test pass rate 75%. 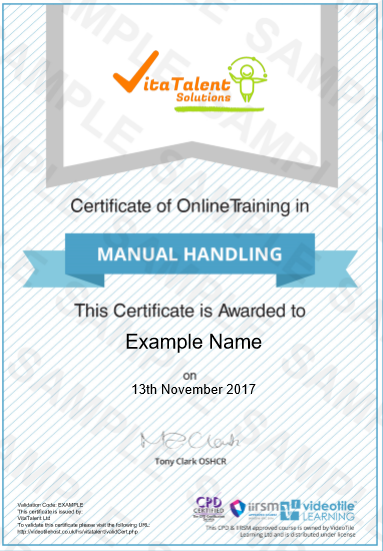 Manual Handling Duration: 75 minutes (Note: This is based on the amount of video content shown and is rounded off. It does not account in any way for loading time or thinking time on the questions).